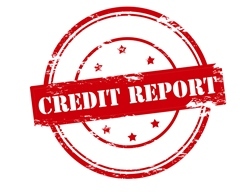 Permissible Purposes of Consumer Credit Reports | The Consumer Law Group, P.C. The Fair Credit Reporting Act (FCRA) protects consumers from false information on credit reports and protects the privacy of consumers by limiting the circumstances under which a credit reporting agency (CRA) may release a consumer’s credit report. It is important to understand these limitations in order to protect your right to privacy. In response to a court order with the appropriate jurisdiction or a subpoena issued in connection with proceedings before a federal grand jury. In accordance with the written instructions of the consumer to whom it relates. To a person which it has reason to believe intends to use the information for a credit transaction, certain employment purposes, insurance purposes, licensing application, credit approval, in connection with a business transaction initiated by the consumer, or approval of a government-sponsored travel charge card. In response to a request by the head of a state or local child support enforcement agency. To an agency administering a state plan under the Social Security Act for use to set an initial or modified child support award. The Federal Deposit Insurance Corporation or the National Credit Union Administration or other applicable federal or state law, or in connection with the resolution or liquidation of a failed or failing insured depository institution or insured credit union. FCRA outlines further requirements for agencies requesting a consumer’s credit information, including informing the consumer of the request in certain situations, and limits what even these approved agencies can use the information for. If an employer wants a copy of your credit report you have to give them permission. If an "adverse action" is taken against you after they receive your report you must be notified of this, and you should receive a copy of the credit report it reviews. We Protect Consumers’ Rights, Too! If you feel that your rights under FCRA were violated, contact The Consumer Law Group, P.C. to find out if we can help. Many of the cases we see involve attempts to remove false or outdated information from credit reports, but we also see other violations of the Fair Credit Reporting Act. We would be happy to learn more about your complaint. Fill out the form on this page and we will get back to you promptly.